This Angled Y Fitting provides less air resistance than a 90° Tee fitting and measures 2-1/2" x 2-1/2" x 2-1/2" OD. 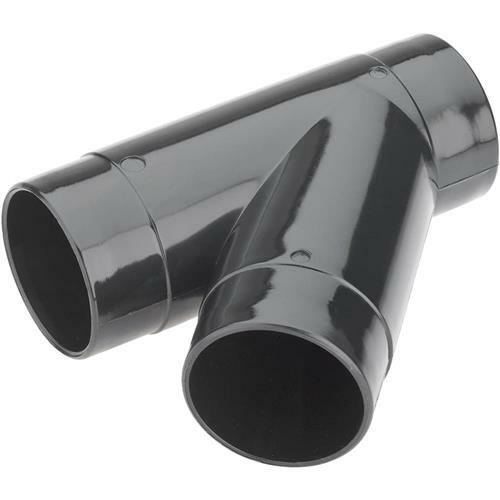 Fits most larger shop-vacuum type hose for use as a stationary dust collection system. I am happy with the bandsaw but I was very disappointed that bandsaws went on sale even before I received mine. I think that you should give a forward advance of upcoming sales. It would definitely have impacted my buying decision. Bought this a month or so ago, and it did the job! I'm slowly building out my dust collection system, and this was an must-have to be able to connect my miter saw and router table to it.